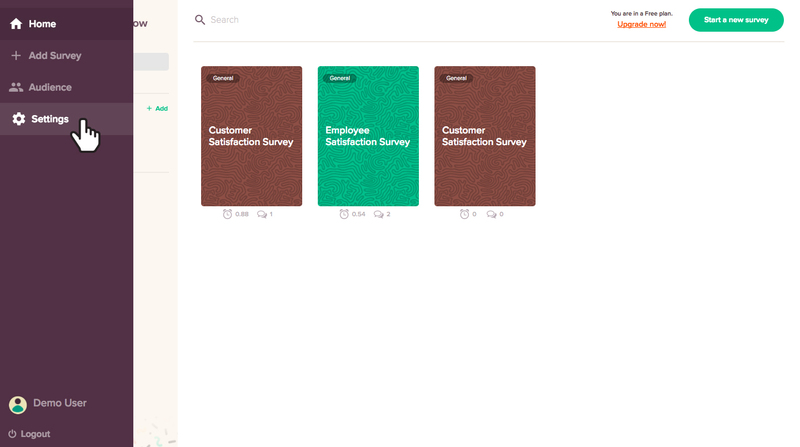 The User Management feature in SurveySparrow enables you to create and manage users. 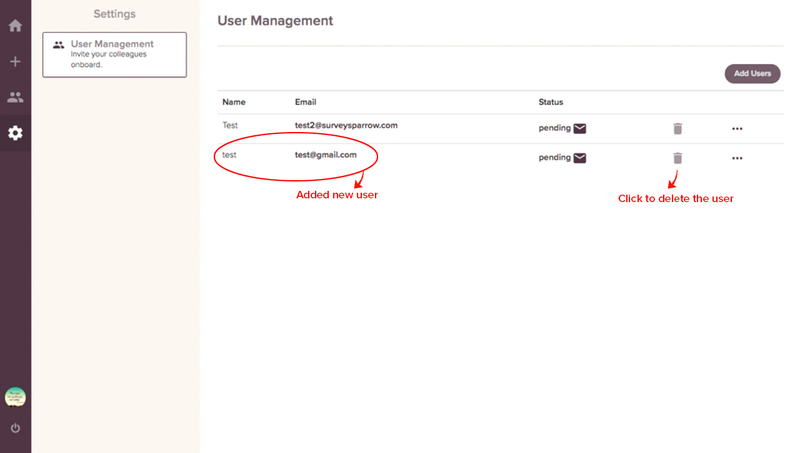 You can add, edit and remove your team members in User Management. To invite a new user, click on Add Users icon present on the right-hand side of the page. 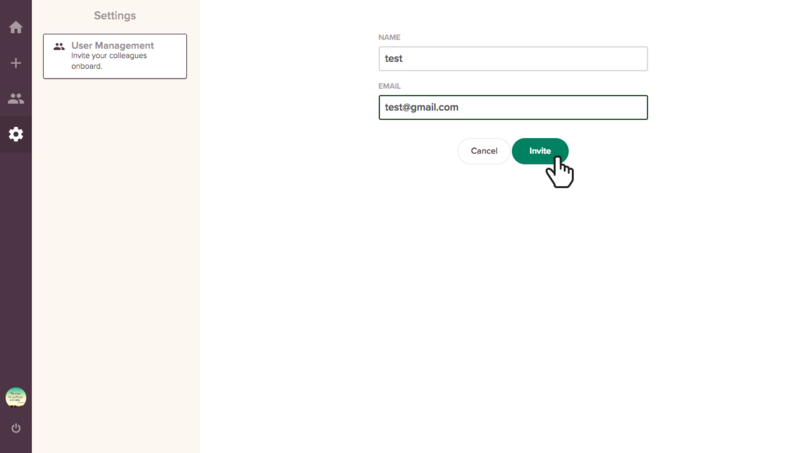 Type the user details such as name and email address in the space provided and click Invite. An invitation will be send to the user that you wanted to add. 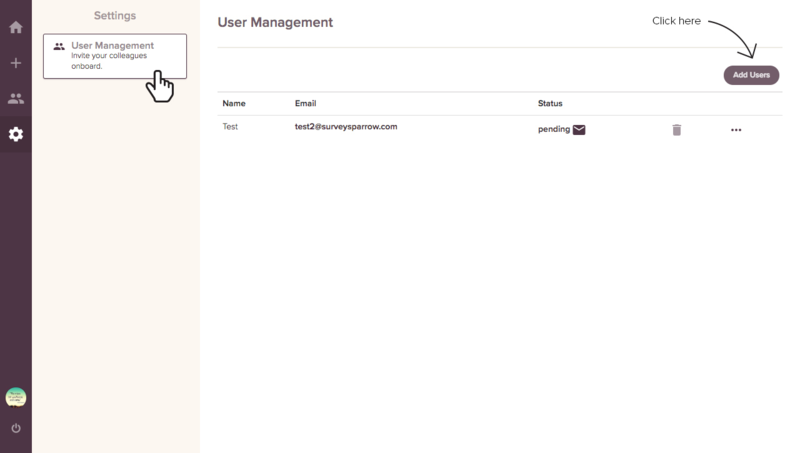 The new user details will now appear under User Management. You can see the status of the user as 'Pending', until he accepts the invitation. Once the user accepts the invitation, status will be updated to 'Verified'. You can also re-send the verification link by clicking on the e-mail icon next to the status. You may use these steps to add, manage, and delete collaborators in User Management.